A feasibility study was done on both the A and B-Line corridors and it was determined that between the two corridors the B-Line had a higher opportunity for economic uplift than the A-Line. However no comparison was ever done to compare the economic development potential of a B-Line LRT vs an A and B line BRT. The reports call for between a 400 and 800 meter sphere of influence for rapid transit economic uplift depending on which report is looked at. Chris Higgins, Mark Ferguson and Pavlos Kanaroglou draw attention to numbers in the IBI report. Higgins et al raise an important consideration when looking at this potential economic growth that we should be mindful of drawing the spheres of potential development too far. 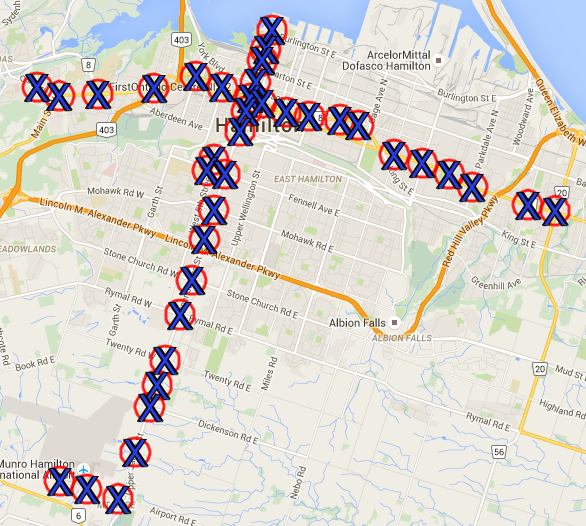 It should be noted however that those numbers were for a route that ran from Dundas to Eastgate Square. The proposed route is now shorter. It should also be noted that a considerable amount of the uplift calculated was based on the redevelopment of the former Scott Park lands located near the Stadium. As those lands are now being developed by the school board there will be no increase in taxable assessment so those numbers must also be adjusted to reflect that. In a separate study that now questions all land value uplift estimates Higgins and Kanaroglou provided a chart to show the theoretical land value uplift (and decrease). The currently proposed LRT running from McMaster University to the Queenston Traffic Circle with the A-Line spur to the waterfront drawn in as well. 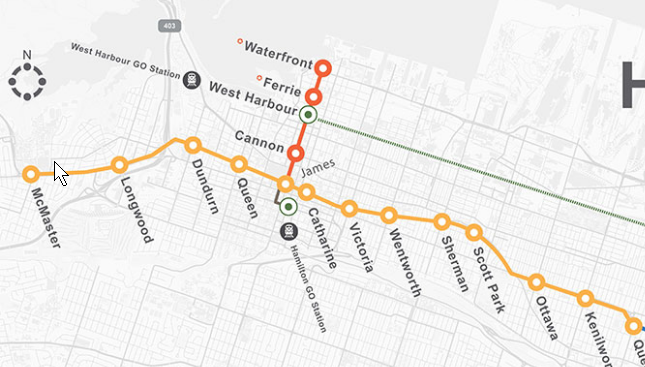 On the City’s website a map is drawn showing the proposed LRT. The Future stations have been cut off from the above picture as they are not presently planned as part of this project. Using an online tool for Google Maps we have drawn 500 meter circles from estimated stop locations based on the above map to show the projected economic uplift zones. Current proposed LRT station stops along the B-Line and those along the A-Line north of King St. 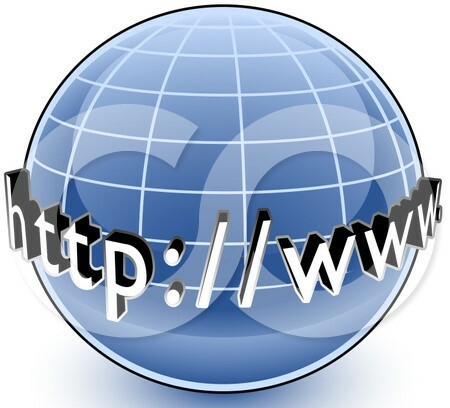 The radius for each station is approximately 500 meters. The Metrolinx King-Main Corridor study looked at an LRT or BRT along the B-Line. In terms of cost/benefit a BRT along the proposed B-Line route achieved a 27% advantage over LRT. The cost benefit ratio calculated for BRT was 1.4 while the cost benefit radio for LRT was calculated at 1.1. It is important to note however that this cost benefit analysis was done on only one line with three options. A full LRT, an LRT stopping at Ottawa St, and a full BRT. It did not look at potential benefits on a full A and B line BRT inclusively vs the B-Line LRT only. Why was this not done? As the area of economic improvement is thought to be slightly lower for a BRT system vs an LRT system a 400 meter radius is used when studying BRT. It was originally estimated by City Staff that the cost to build a full BRT on the A and B Line would be somewhere in the neighbourhood of $800 million. A smaller 400 meter radius of potential economic uplift was used for stations along a potential BRT traveling from University Plaza to Eastgate Square. Simply running a BRT instead of an LRT along our B-Line will actually provide service to more people and creates a greater total area of potential economic uplift. 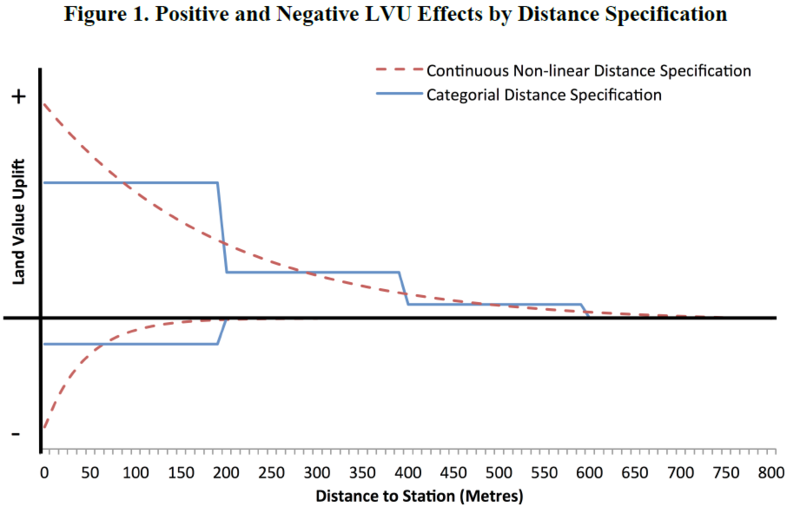 Finally we took a look at the SDG report and used the potential A-Line stops used in the report to estimate an area of economic influence for stations. Once again a radius of 400 meters is used. A 400 meter radius was used to estimate areas of potential economic uplift as a result of a full A and B Line LRT. The Full B-Line runs from University Plaza in the West to Eastgate Square in the East. The A Line runs from the Airport in the South to the Waterfront in the North. The stated purpose of rapid transit in Hamilton was to do more than just move people but to stimulate economic growth. Why then are we trying to stimulate only a small part of our city overall when we can have a similar effect over a much larger area while at the same time providing better transit service to more people?